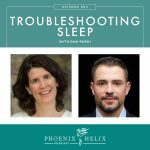 Circadian Rhythms affect all aspects of health, from hormone balance, to metabolism, to our ability to sleep well at night, and most important of all – our ability to heal. You can see why this is such an important topic for those of us reversing autoimmune disease. 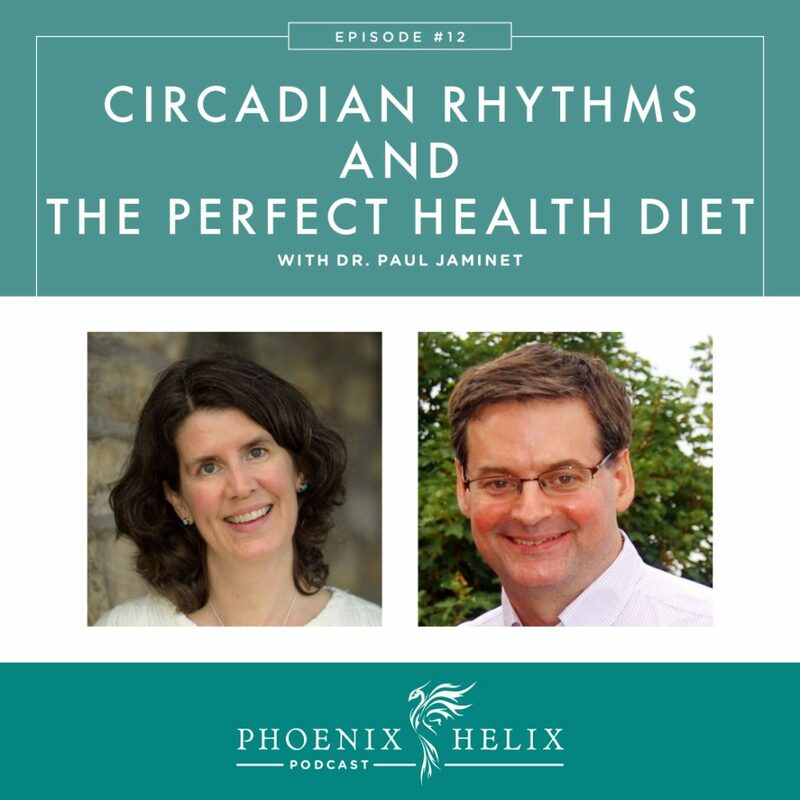 In today's podcast, I'm joined by Dr. Paul Jaminet, author of The Perfect Health Diet, and an expert on Circadian Rhythm Entrainment – harnessing our internal clock to heal. 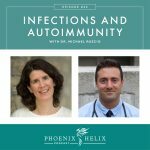 We also talk about his dietary protocol in detail, why he recommends eating white rice, and how infections relate to autoimmunity. 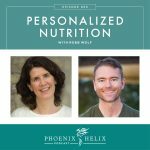 An astrophysicist who put his scientific mind to work in the paleo community, he is the author of The Perfect Health Diet. He has a fascinating healing story, because a fungal infection actually mimicked autoimmune symptoms for years. When he discovered and treated the infection, his symptoms disappeared. An ancestral diet similar to paleo with some key differences. It emphasizes the importance of healthy carbohydrates for nutrition, energy levels, and microbiome health. Paul warns against eating too low-carb for too long. 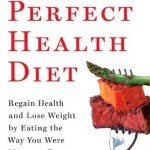 PHD recommends 1 pound of safe starch daily and 1 pound of sugary vegetables and/or berries daily. This recommendation stirred up some controversy in the low-carb paleo community. Check out the video: The Safe Starch Debate. Whereas paleo is a grain-free diet, PHD includes white rice in the safe starch category. It allows some dairy, more as a condiment than a major food category. It also includes supplement recommendations. Here's a link to the PHD Food Diagram. Downregulated thyroid hormone, resulting in hypothyroid symptoms. Downregulated mucus/saliva/tear production, resulting in dry eyes, nose and mouth. Fungal, yeast and parasite overgrowths. Whereas grains have evolved to inhibit digestion, those anti-nutrients are located primarily in the husk of a grain, and white rice has had the husk removed. White rice is an easily digested carbohydrate for the body that can also be a form of resistant starch (food for the microbiome). For people ready to start reintroducing foods on the AIP, Paul recommends cooking rice in a pressure cooker, because that's the most thorough method of removing anti-nutrients from a grain. My favorite pressure cooker is the Instant Pot, which actually has a rice setting, and there are two rice recipes included in the Extras section of The Paleo AIP Instant Pot Cookbook. Resource article: What's Up With White Rice? Paul had a fungal infection that caused skin discoloration, and a bacterial infection that caused neurological symptoms. When he went to a conventional doctor, his tests all came back normal, so he did his own research online and found a website called Cpnhelp.org. Chlamydia Pneumoniae is a common chronic infection that can cause neurological symptoms and responds well to antibiotics. He talked his doctor into the correct antibiotic prescription, and his neurological symptoms vanished. Standard bloodwork can often hint at underlying infections. A functional medicine practitioner can interpret those results for you. One example is that parasite infections will lower LDL while bacterial infections will raise it. Infections will also affect white blood cell counts and can be an underlying cause of anemia. Our body has an internal 24-hour clock. Different body functions happen at different times of day, and our internal clock tells our body what to do when, and ensures that all of our cellular needs are accomplished. Daytime is meant for physical activity, social interaction, intellectual stimulation and decision-making. Nighttime is meant for relaxation and sleep, where our body repairs itself. If we stay in a high-stress state, it can throw our circadian rhythms off and make our body think it's daytime 24 hours a day, and health problems result. Other factors that affect circadian rhythms (positively or negatively) are light exposure, physical activity, temperature, social interaction, when we eat, and when we sleep. There's a time of day each of these activities is meant to happen, and if we reverse that, health problems result. Modern life has it reversed. Set up your external environment to make it easy. Set up two sets of lighting: red/orange for nighttime use, and bright blue light bulbs for daytime use. Alternately, wear amber glasses at night. Set up a 12-hour day/ 12-hour night habit. Eat, work, socialize, get outdoors and exercise during the day. Relax, wind down, and sleep in a cool room at night. Television: OK during the day, but avoid it at night. Our bodies like routine. Make healthy circadian rhythms a habit. Set yourself a Sleep Challenge. Having a baby: By taking the same steps listed above, you can set your baby's circadian rhythm to be healthy, where they are awake more during the day and sleep more at night. It's also a good idea to extend your sleep time to make up for the time you are waking up to feed your baby at night. Autoimmune symptoms: If pain or other factors make it difficult to sleep, focus on relaxation as your goal. Using pillows as bolsters to support arms and legs can take some pressure off painful joints, making sleep more comfortable. If you have to get out of bed, don't engage in daytime activities (avoid TV, the computer and food). Instead, take a bath, meditate or read a book, and go back to bed as soon as you feel able. Perfection isn't the goal. Just do the best you can to support health in as many areas of your life as possible. As you heal (or as your baby gets older), trust that your ability to sleep will improve. Because autoimmunity is so complex and individualized, Paul envisions a book that isn't a single protocol for everyone to follow, but rather a troubleshooting guide, where a certain set of symptoms would lead to recommended tests, self-experiments or treatments. One example is Paul's controversial blog post, suggesting that pork and red meat consumption can lead to Hashimoto's disease (but not other autoimmune diseases). For example, the same study showed no correlation between pork/red meat and rheumatoid arthritis. Note: this isn't a proven theory, but just a hypothesis at this point. You can keep up with Paul's work through his blog, Perfect Health Diet. There, you can find information on the PHD Retreats, as well as Paul's ongoing research. For complete information on his protocol, check out his book, and he and his wife are currently working on its companion cookbook.